The M20 was Olivetti's first proper desktop computer. 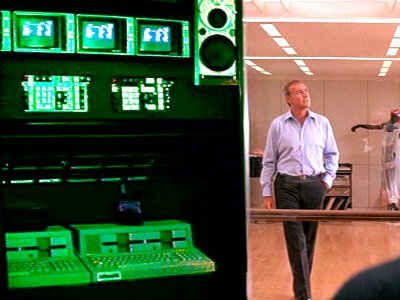 Released in 1982 it featured the rarely used Zilog Z8000 processor. 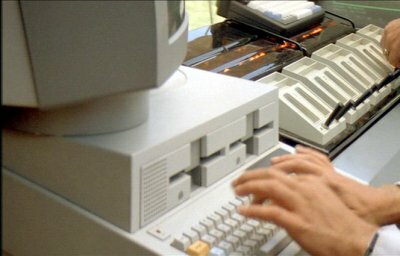 The Olivetti is used to control the robots during the Nova Laboratories demonstration. An M20 appears in the DXS command centre. 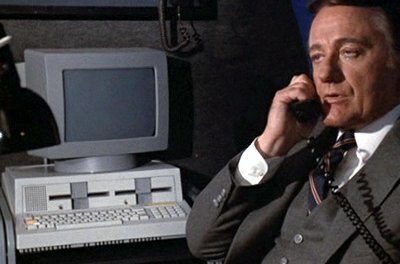 General Stockwell has an M20 on a desk in his jet. 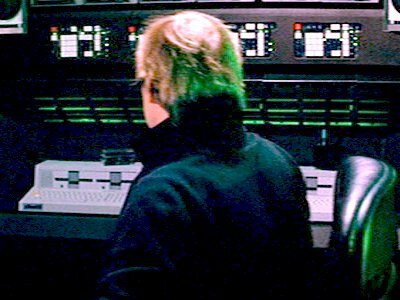 SPECTRE's number one operative Maximilian Largo has a number of M20s in the control centre of his boat, the Flying Saucer. 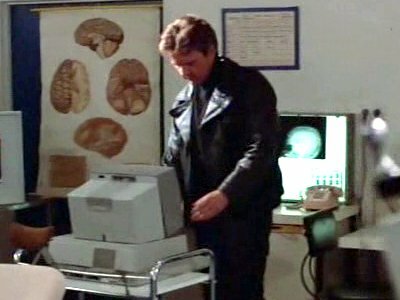 Hoping to find out what happened to Samira, Eric breaks into building of the company that converted her to a cyborg, where he unsuccessfully tries to get some information out of an M20 computer. 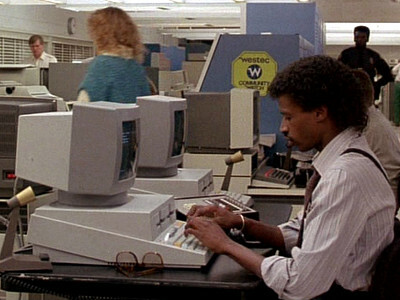 An Olivetti M20 makes a fleeting appearance in the town's police station. 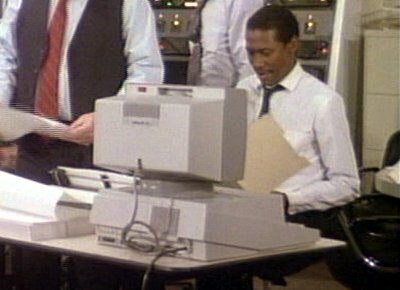 An Olivetti M20 appears in the control room of the security company alerted when the Whiteman family dog sets off the burglar alarm.